What do you do with your old hard drive after you replace it with a new one? SBTroy over at Instructables has managed to add a couple of more years to a hard drive's life by converting a bunch of hard drive platters into a 15,000 RPM Telsa Turbine. 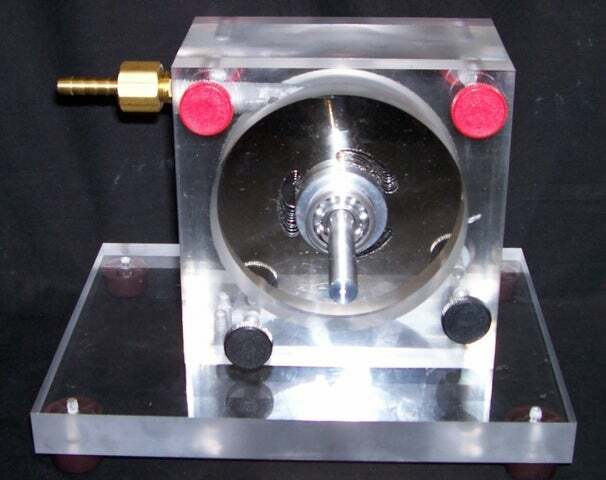 The Tesla turbine is a "bladeless centripetal flow turbine patented by Nikola Tesla in 1913. It is referred to as a bladeless turbine because it uses the boundary layer effect and not a fluid impinging upon the blades as in a conventional turbine." Yeah, I don't understand what that means either, you're not alone. It sounds cool though. You can read more about it on Wikipedia. Now, back to the story at hand. Why would you want to build one of these? Umm, because you can. Sure, you won't be able to run your computer off the turbine, but it's a nifty little project and teaching tool about the Tesla Turbine. You can get the step-by-step process on Instructables, and follow it through to completion. The project comes with a PDF and DWG file of the CAD information you need to build the project yourself. Also, if you're looking for more information on what kind of Tesla Turbines you can build in your spare time, you can find a ton of different setups on YouTube.